Travel Thursday and back in the always funky and lively New Orleans, Louisiana. Sooner or later, the party always ends and nature calls. 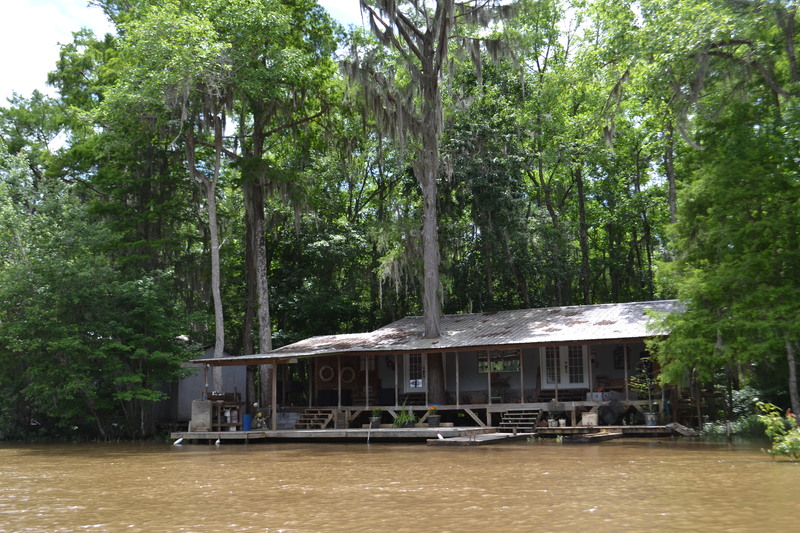 I have been on swamp tours before, but this trip sought out a location to the north of Lake Pontchartrain, and much thanks to my friend “Google,” I found this gem where a Bigfoot has reportedly been spotted. Bonus! 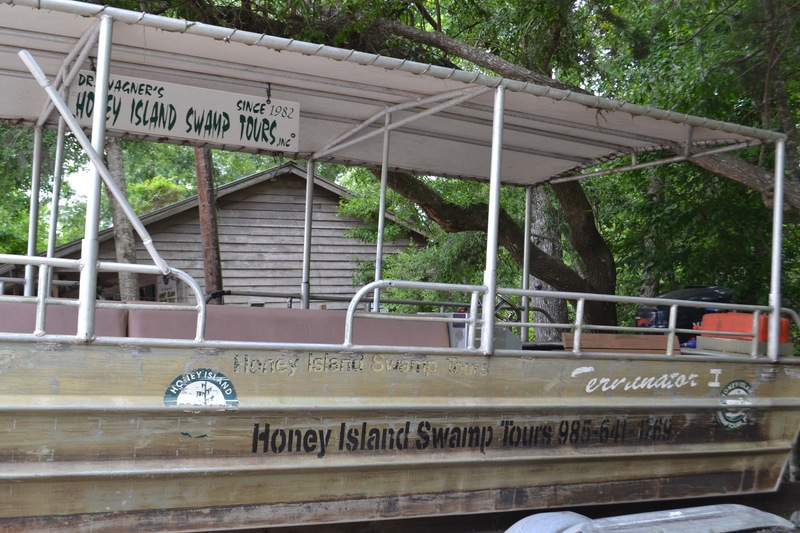 Honey Island Cypress Swamp Tours in Slidell, Louisiana, turned out to be a really swamptastic side trip. What I absolutely loved about this tour was the unique and gorgeous natural setting. 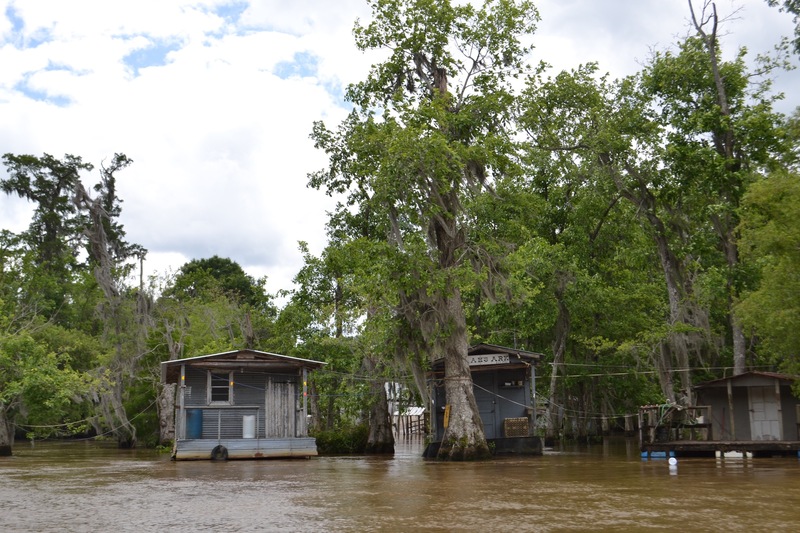 Using a small boat enabled the skilled tour guide to get us from the beautiful Pearl River into a tight area of the 250-square-mile Honey Island Cypress Swamps. Great views along this river gives lots of opportunity for nature photography. Because this is a migratory area, our tour guide was able to point out some rare birds along the way. Other birds in the area include; bald eagles, waterfowl, herons, egrets, ibis, owls, osprey. 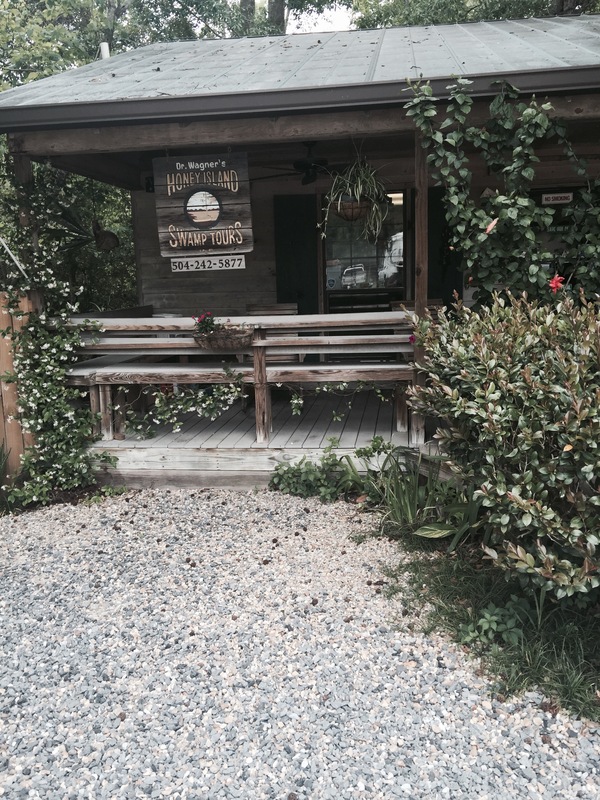 Located next to a nature preserve in an undisturbed clean, very unique natural setting. There is a lot of wildlife in this area. Of course, we came to see some Gators and hopefully a Bigfoot. We did see some gators and so many turtles. Hi handsome. what happened to your face? 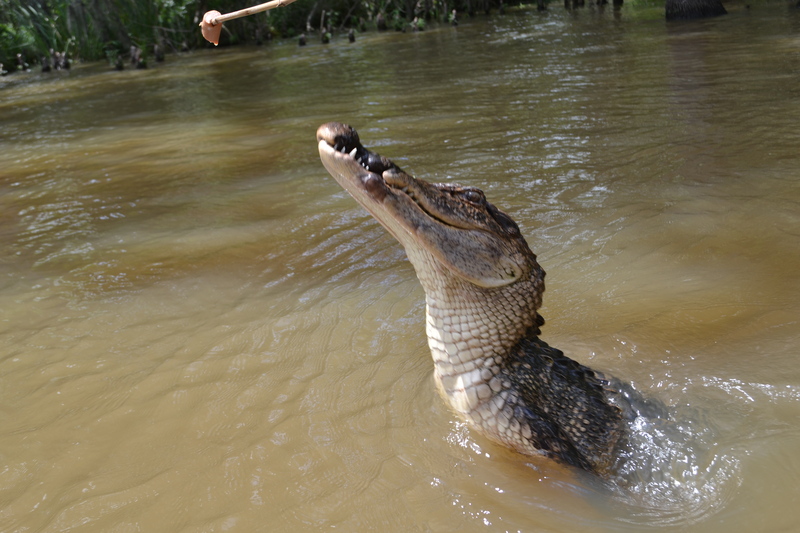 Interesting fact, there are only two places on Earth where one can see alligators. The United States and China. (I had just visited The Everglades in Florida.) There are crocodiles other places on Earth. There were people in our boat from other countries, and I had to stop and think that seeing one of these slimy ancient creatures is really a special thing to experience. 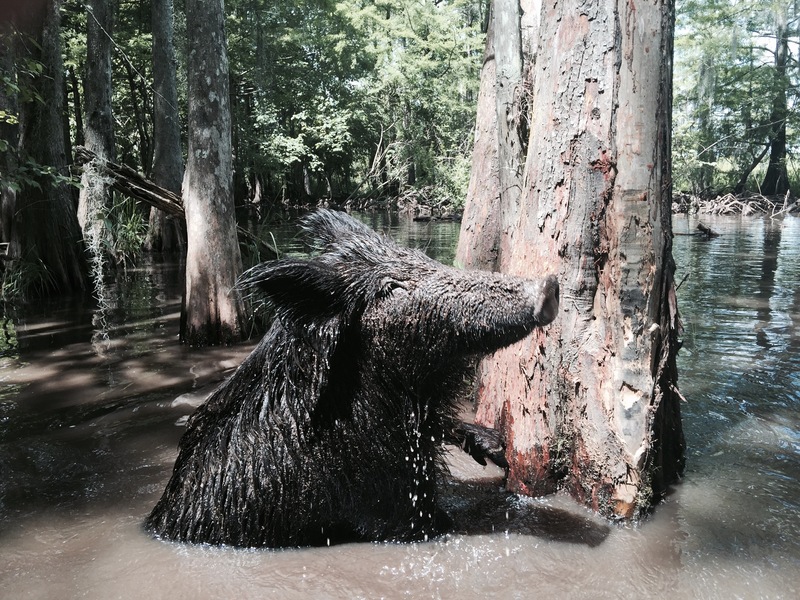 Other animals that live here are; deer, feral hogs, nutria, raccoon, otter, beaver, mink, turtles, frogs. THE highlight for me was seeing this swamp-angel in the wild. I thought people sure could confuse this creature with a Bigfoot but reportedly area sightings has him standing at 7 feet tall. 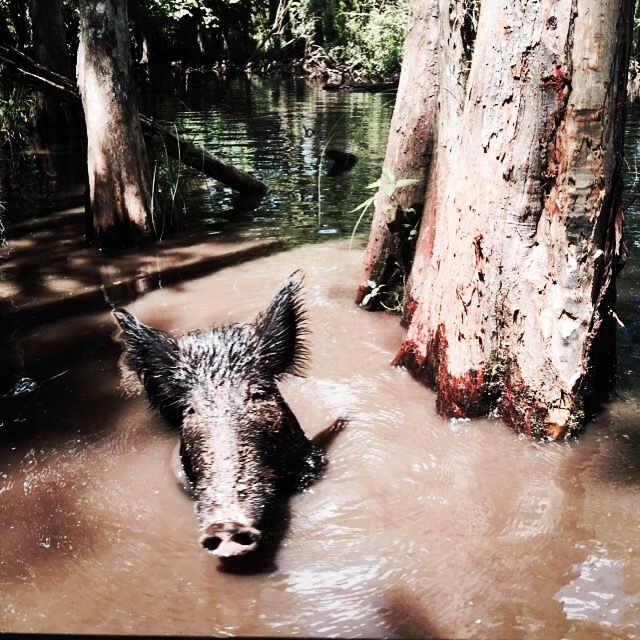 The Honey Island Swamp Creature has been the source of books and T.V. shows. The hanging moss and cypress the trees, gives one a glimpse of this unique United States setting. I thought it might stink, but I found it to have a beautiful scent. 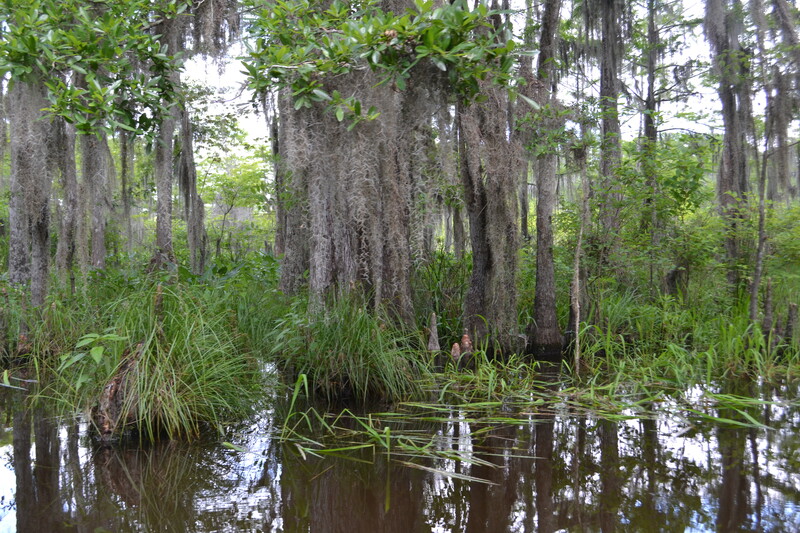 I learned that it’s one of the least-altered river swamps in the country. It’s pretty much in its original condition, almost a pristine wilderness. 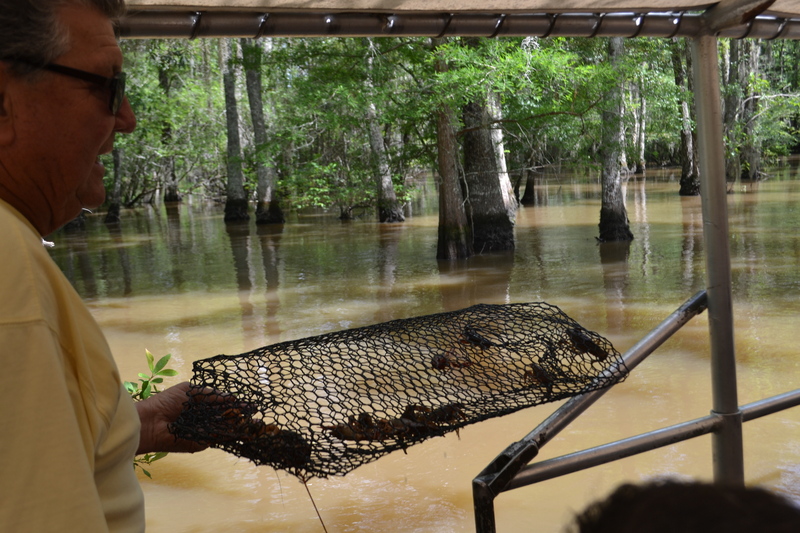 This swamp tour is fantastic and very easy for people of all ages. I highly recommend this tour. It received the 2014 Trip Advisor Award. Want to see gators? 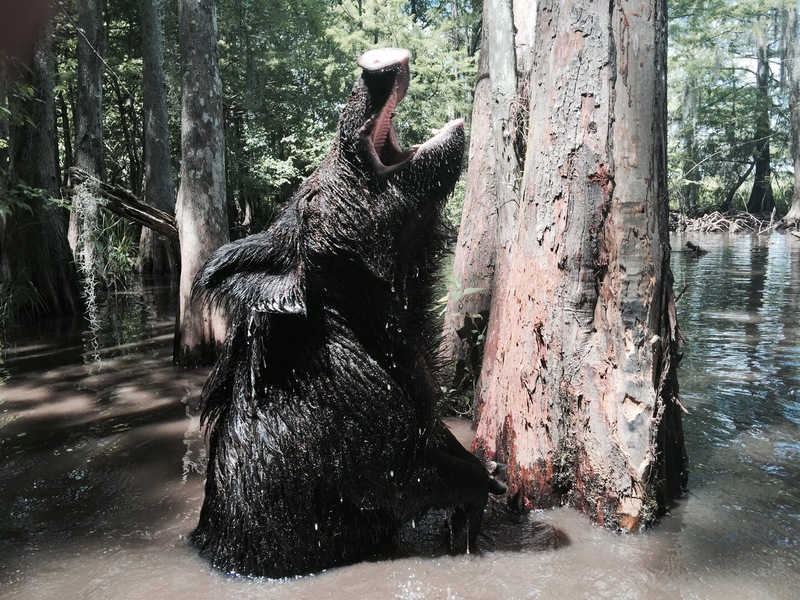 We did not see many as compared to other Swamp tours that I had been on. 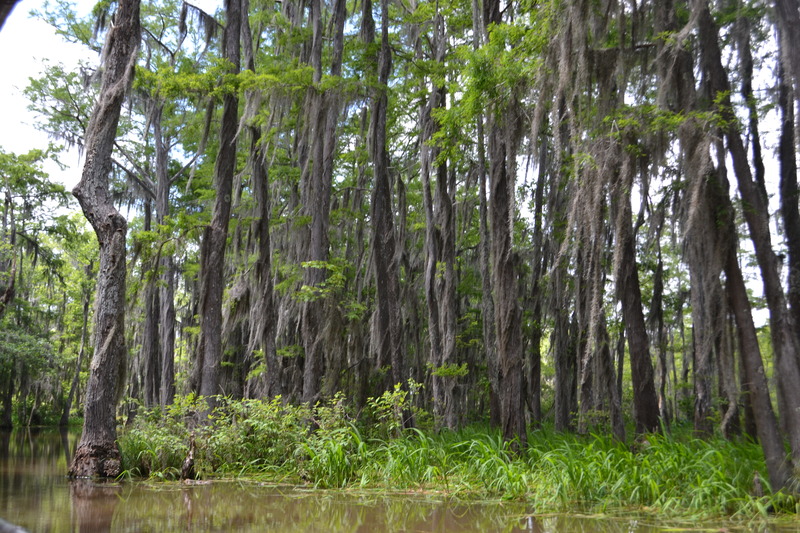 Visit Jean Lafitte National Historical Park at the Barataria Preserve area. I have not yet visited this park but I sure will. Two women who sat next to me on the tour said it was loaded with gators, snakes and other wildlife from a safe boardwalk area. 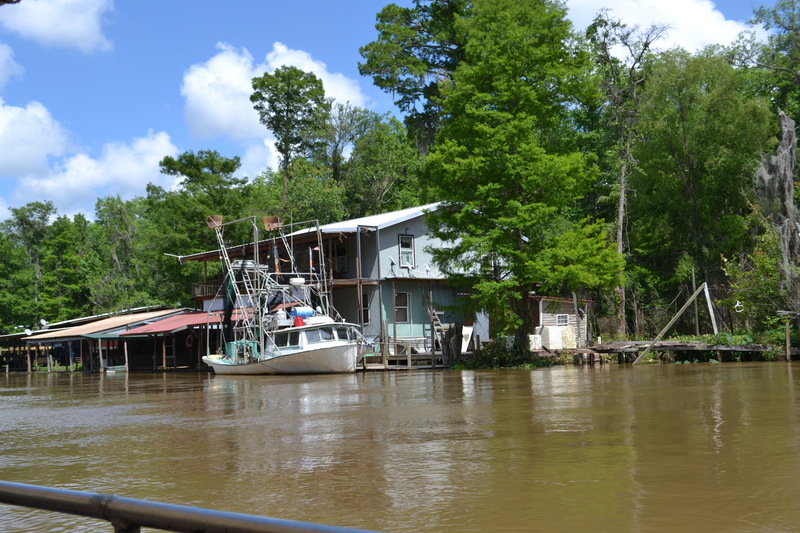 The greater Slidell area has a population for 90,000 and there are some great places to dine. I visited on a Monday and many of them were closed so I ate in Mandeville at ACME Oyster House-Yum! 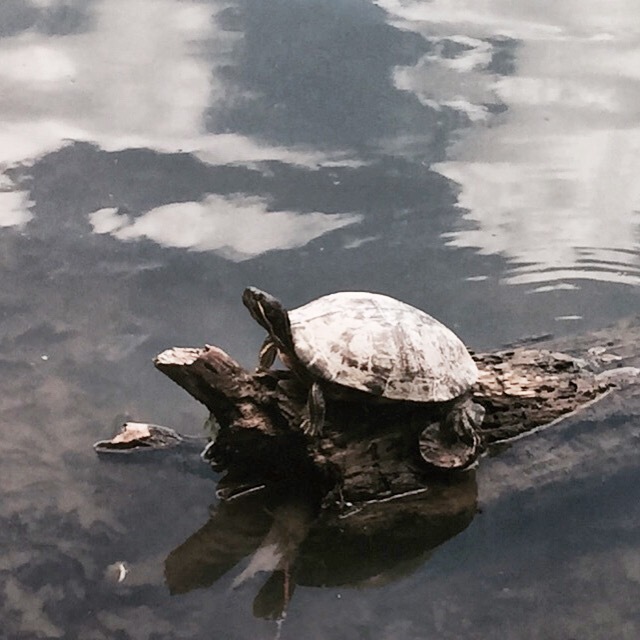 Bring your camera; there is ample opportunity for nature photography. Make an easy reservation before your visit. I loved that this tour operator did not beg for tips, our family personally gave him a great tip and thank you.